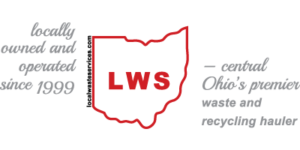 Lowest-bidder Local Waste Services was awarded a new five-year residential waste contract effective Jan. 1, 2017 as part of a consortium including Jackson Township, the City of Grove City and village of Urbancrest. Subsequently, the Jackson Township Board of Trustees unanimously passed a resolution at its Sept. 6, 2016 meeting to approve its participation in the consortium’s 2017 waste-hauling and recycling contracts with Local Waste Services and Rumpke of Ohio, respectively. 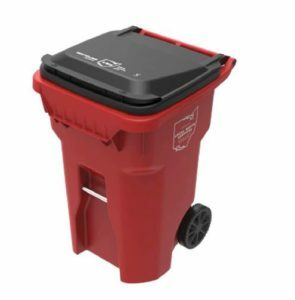 The residential-waste contract includes pricing of $14.45 per month for weekly collection of household trash, recycling and yard waste with Local Waste Services replacing 18-gallon green recycling bins with 65-gallon wheeled red recycling carts. Total quarterly charges will be $44.85 — $14.45 monthly plus a 50-cent per month billing-service fee. There is no additional cost for 65-gallon cubside recycling carts. Recycling carts will be delivered no later than Dec. 31, 2016 and may be used once delivered. Pickup of green 18-gallon recycling bins is available, and residents may opt out of receiving new carts. Contact Local Waste Services at (614) 409-9375, or submit a service request at localwasteservices.com/request. “We want to thank the Jackson Township Board of Trustees for giving residents 65-gallon carts because they dramatically will improve recycling efforts,” said Albert Iosue, SWACO programs administrator. Jackson Township residents will continue to have the same service day and are asked to have all materials out by 7 a.m. on their regularly scheduled pickup days. Service guidelines and additional information including new rates and holiday schedules are posted at http://bit.ly/LW2017. Contact Local Waste Services at (614) 409-9375 or localwasteservices.com for more information.